Children illustration by Eugenia Gapchinskaya is cheerful and bright, funny and touching, filled with a certain quiet tenderness. It’s not surprise that her works are acquired by museums as well as private collectors who are willing to pay a good price for genuine paintings - Luciano Pavarotti, John Malkovich and etc. 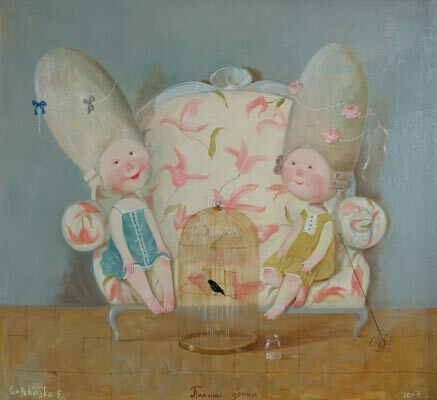 Eugenia Gapchinskaya is very famous Ukrainian painter who is also known abroad. Her works are full of happiness and give the chance to get back in the half-forgotten world of your childhood.Born in 1974 in Kharkiv, Eugenia was the fifth child in family. As a teenager she was a sickly girl and her family income was not high at all. But after having passed through the difficulties many times, she had acquired a certain nonchalance. 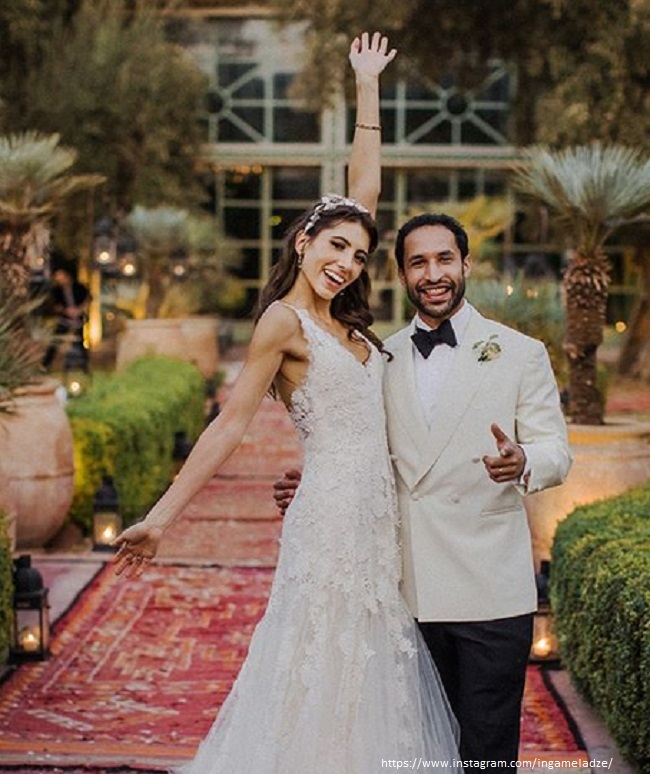 She has said that love is the main meaning of her life and work. Eugenia Gapchinskaya got academic education at the faculty of painting of the Kharkiv Art and Industrial Institute, and then in the Nuremberg Academy of Fine Arts. 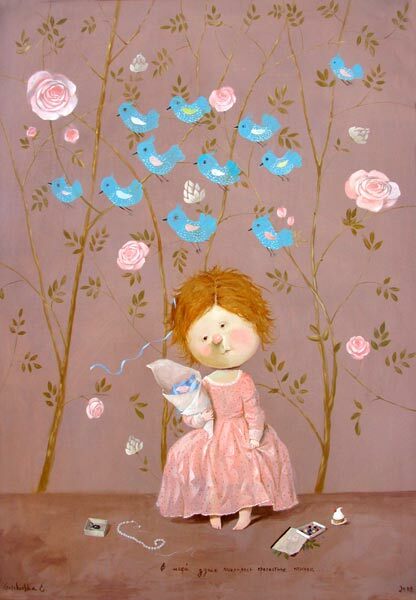 Her personal galleries of "Happiness" are based in Kiev, Dnepropetrovsk, Odessa and Moscow. Fame came to Gapchinskaya after the director of the Albertina Graphics Museum in Vienna made an order for 15 portraits of a little red-haired girl who traveled through space and met the great painters of the past. 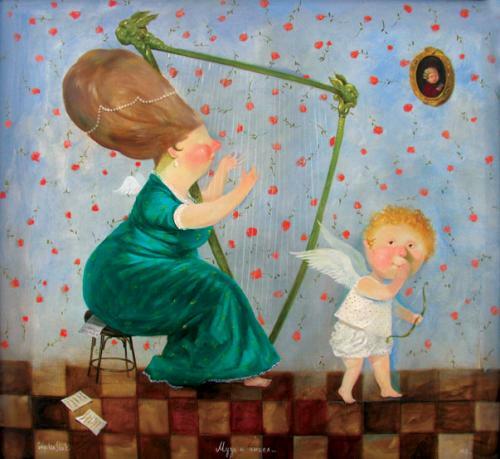 Famous Ukrainian artist made happiness her trademark, critics and gallery owners call her "Happiness Supplier №1». After all, everyone wants happiness, and finds it in the works by Gapchinskaya, on which charming elfs, angels, little people, bright and cheerful are displayed. Filled with child glimpses, her paintings looks like kaleidoscope of imagination and helps to go out of the common world. Heroes of illustrations are small, funny peoples or laughing-eyed elves and angels – gorged with sponge-cakes and chocolate and like to pose in beautiful dresses. 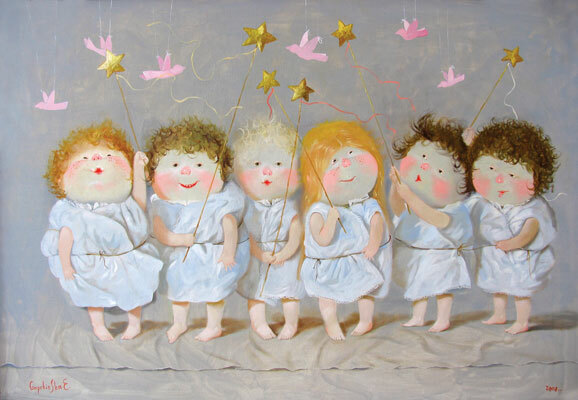 Strange little figures, half fairies, half human beings, with puffy pink cheeks and plump yet small hands, they are gazing at viewer, who is softened immediately. Gapchinskaya’s works are said to bring good luck. 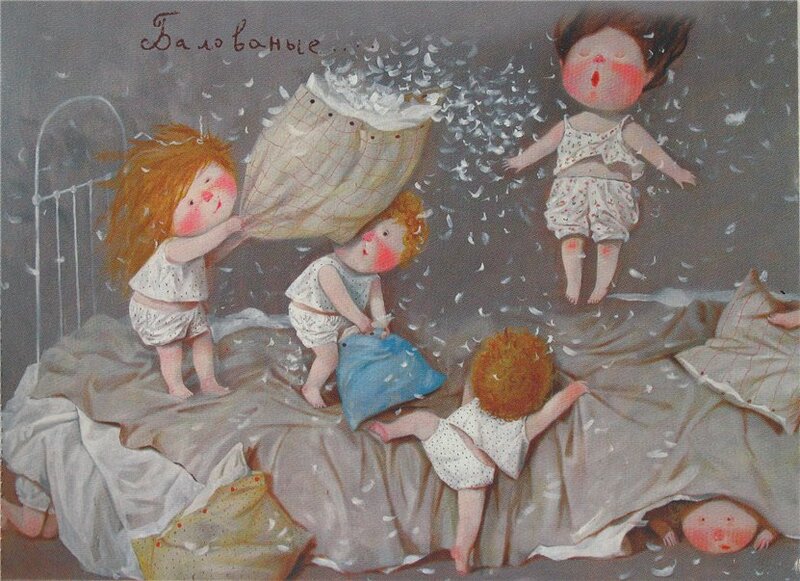 People do not quarrel, and children do not get sick in homes where there are pictures by Gapchinskaya hang. However artist do not attach any exaggerated magical or mystical importance to her works. “Well, it is strange but my paintings still have their positive philosophy and it seems that they support me. They are my pleasure”,- artist explains. But in fact, smile is starting to shine on your face when you look at the little ballerina in a pink tutu or at the boy with a hole in the socks, at the man who scrutinizes the beetle in a small box, a lover of sweet candies. Sometimes there flashes across viewer’s mind the beautiful boudoirs, bedrooms, dressing-rooms, and in every well-chosen detail, quite exquisitely, there appears a rococo beauty.